Detroit is an incredible city for music. From Motown to Detroit Techno, the city’s historic contributions to music are undeniable, which makes it a must-visit tour stop for many national and international acts. Of course, it’s great to go see a show at the Fox Theatre or the Majestic, and Little Ceasar’s Arena has quickly established itself as a multi-faceted and desirable music venue. However, I would encourage music fans in the city, especially newcomers, to make an effort to experience the local scene in all of its glory. These shows might be a little harder to find, and certainly won’t have the seating capacity of LCA, but nonetheless these smaller shows are an integral part of Detroit’s musical culture and offer incredible experiences for fans and musicians alike. El Club started about a year ago in an old community center in Southwest Detroit, and has since asserted it’s place as a major player in the local and touring music scene in Detroit. Notable acts such as XXYYXX, Kali Uchis, Parquet Courts, and others have recently graced the stage, as well as local staples such as Shigeto and Frontier Ruckus. Coming up this month, music collective Video7 will be doing their 4th installment of Cable Nite, and they’re doing a New Year’s Eve party with Sky Ferreira ands Iceage. Definitely a great venue to check out for local and up-and-coming touring acts. 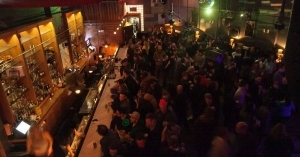 TV Lounge is a staple for the techno and house music scenes in Detroit, with powerhouses such as Stacey Pullen and Nicole Moudabar on the decks for hours at a time, often until late. 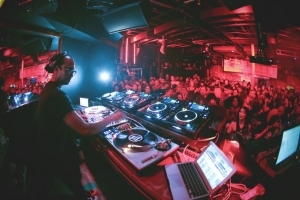 Definitely a must-see for anyone looking to dance and experience the thriving electronic music scene in Detroit, and they are also hosting a New Year’s Eve party “From the Streets of Detroit,” featuring the likes of Mister Joshooa, Shady P, and Soren. If you’re looking for something in between the two previously mentioned venues, Marble Bar might be a good start. The venue hosts The Moth story slams regularly, which are definitely worth a visit. Marble Bar is known to throw some amazing dance parties, such as Raw Juice, a free, monthly Wednesday night show hosted by Vanity Press Records, as well as different genres, such as a Cults stop on their latest tour and Rowan Niemesto‘s release party for his latest project Gradient. On New Year’s Eve, they’ll be hosting Ghostly International’s Matthew & Friends, which is a great opportunity to support a revered electronic musician with ties to a strong, independent record label based in Ann Arbor and New York. This is just a start, but as for next steps, I would say like each of these venues’ pages on Facebook to get notifications about upcoming events, and stop by sometime when something cool catches your eye. I can almost guarantee you’ll see me there (if it’s a good show, that is), and I’m happy to provide any further info and some snippets of my brief first-hand knowledge of Detroit’s vibrant music scene, as seen by a newcomer with an affinity for local music and an appreciation for Detroit’s unique and important place in the world of music. Thanks, and see you out there!